This free chorus became a bit of a classic when it won the KVR developer contest back in 2014. 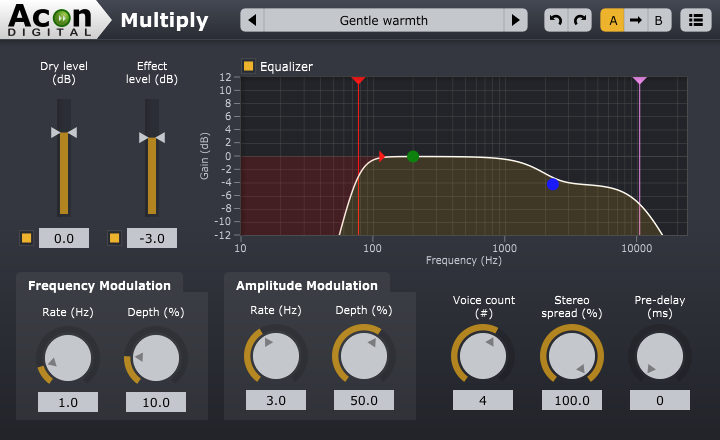 According to Acon, the unique part of this chorus plugin is that each simulated voice is processed with a phase randomising filter so that unpleasant comb filter effects are avoided. Plus there's an eq, adjustable pre-delay and a stack of great presets. It's a pretty smooth sounding chorus that's great on vocals and acoustic instruments. It's available for both Mac and PC and downloaded for the link below.